According to the Centers for Disease Control and Prevention, climate change and extreme heat causes more deaths each year than lightning strikes, hurricanes, tornadoes, floods and earthquakes combined! 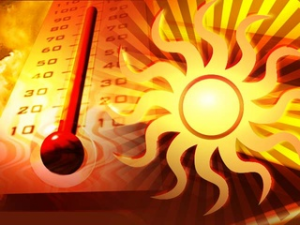 The elderly, people with a chronic medical problem, homeless, outdoor workers, and athletes are most at risk to heat sickness. Muscle cramping might be the first sign of heat-related illness, and may lead to heat exhaustion or stroke. To learn more visit: Centers for Disease Control and Prevention: Extreme Heat & Your Health.